Nasserein lift station - 6-minute walk., Central St.Anton - 10-minute walk/2-minute drive. Immaculately designed, with a wonderful of mixture of traditional Tyrolean design and contemporary luxurious furnishings, Chalet Almajur makes the perfect winter retreat. Located in the exclusive Nasserien area, the chalet is a short stroll from the Nasserein gondola and from the wonderful array of bars and restaurants that St. Anton has to offer. 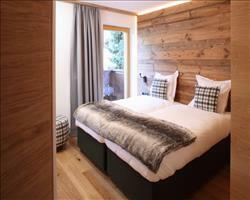 Chalet Almajur is set out over three floors and sleeps a total of ten guests in five good sized en-suite bedrooms. 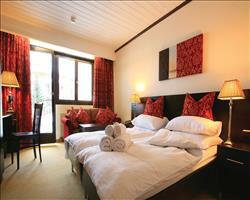 All of the bedrooms can either be configured as twin or double beds making it ideal for groups of friends or families. The chalet has been wonderfully furnished throughout and includes a cinema room, which is perfect for entertaining the children when the snow closes in. The chalet boasts a very spacious bright and elegant drawing room where you can lounge on the sumptuous sofas, watching the flames dance in the fire, while your private chef prepares your evening meal in the well-equipped kitchen. Dinner is served in the sophisticated wood-beamed dining room where the table comfortably seats ten guests. 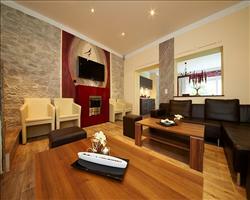 You enter the chalet on the ground floor into an impressive reception area. The ski and boot room is located on this floor as is the cinema room, the laundry room, and a guest toilet. 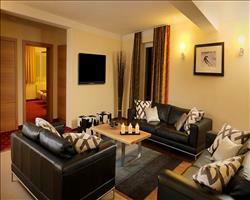 A twin/double bedroom with en-suite shower room is also located on this floor. Stairs lead to the first floor where the main reception rooms are located. The kitchen, drawing room, and spacious dining room are all separated, ensuring maximum privacy should you wish. 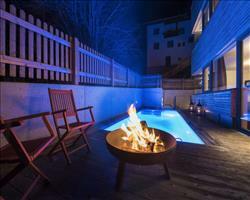 There are plenty of places to relax and unwind after a hard day on the slopes. A large terrace, with views of the valley and surrounding peaks, is accessed from the drawing room and this floor has its own separate entrance. 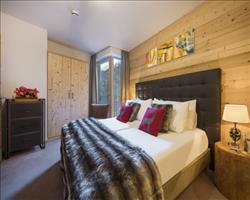 There are four en-suite bedrooms located on the top floor of the chalet. 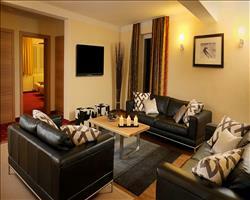 Two of these have en-suite bathrooms and access to the balcony at the front of the property. The other two bedrooms have en-suite shower rooms. 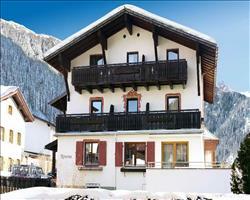 When sold on a fully catered basis, the chalet has a shared driver service which runs from 8:30 - 1:00am daily. The chalet has two exterior parking spaces. We update Chalet Almajur's details often, but facilities do change. e.g. some extras listed by the supplier as "free" or included might only be for the first time you use them, or for one time per party, then charged for further use. If any specific feature is essential to your holiday, make sure you ask us to confirm the details of it before you book your holiday. St Anton lift pass price last reported as €228 (adult 6 day). 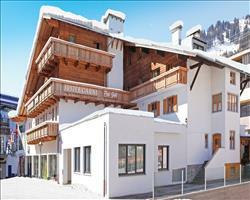 Ask for a quote when booking Chalet Almajur.